My parents, Shohachiro and Sachiko Ojima, established the Lodge Scole after their honeymoon in 1973. They visited the Alps in Europe and the beautiful homes and lodges they saw there inspired them to build the Lodge Scole in Zao Onsen. 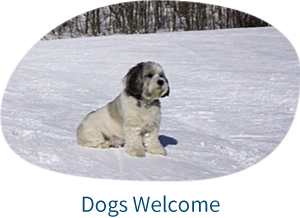 Many of our guests have been returning to stay and ski with us for over 40 years. 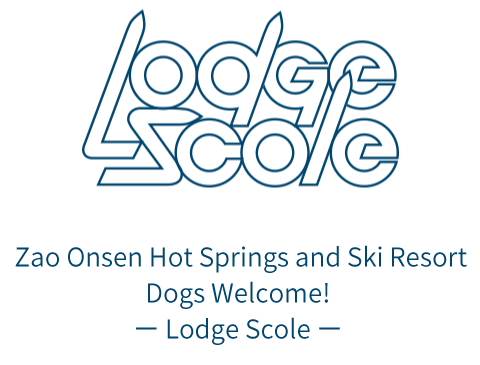 We invite you to see why with the hospitality we offer at the Lodge Scole and the snow and glorious natural scenery offered by Zao Onsen. Mao OJIMA (Lodge Scole Owner) Thank you! A type Twin Rooms feature 2 beds, a shower, sink and TV (a 3rd bed can be added). B type Lofted Rooms feature 2 beds downstairs and a 3rd futon bed in the loft, a couch, a sink and a TV (a 4th bed can be added). 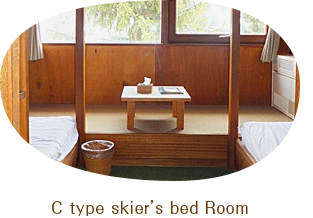 C type rooms feature classic European ski chalet style bunk beds and can sleep up to 5 people. The Dining Room: Meals at the Lodge Scole are a unique and delicious experience. 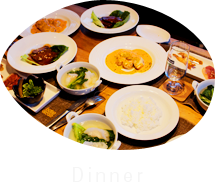 Both traditional Japanese and western style meals are available. The Lounge: A roaring fire and comfortable seating await you after a day’s skiing. A satellite connected movie screen TV with English stations, a DVD player and card games and toys are also available. Our in house “Woodpecker Bar” offers you the chance to try or re-acquaint yourself with Japanese sake. Dinner&Bar 6:30PM〜11:00PM※THE NEW BAR AREA IS OPEN NOW!! Our jacuzzi features fresh mountain water drawn from our well. 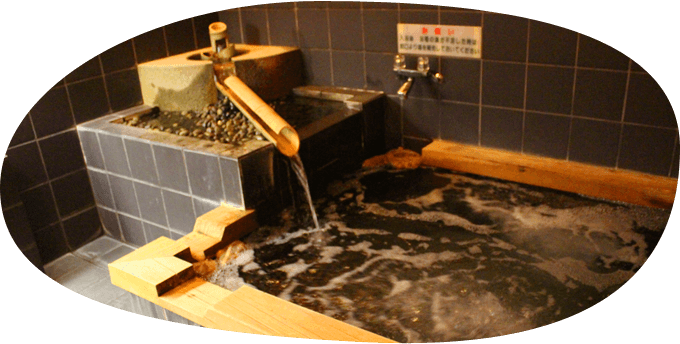 It is not a true hot spring (inquire with our friendly and knowledgeable staff about the many hot springs Zao has to offer, they’re only a short walk away). The bath is open from 4pm to 11pm (flexible). Our showers are open 24/7. Bathing after check out and for non-guests is ¥500. The Lodge Scole is located in Yamagata Prefecture in the Tohoku region of Japan. 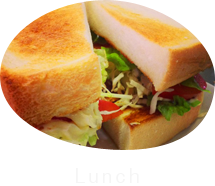 It is accessible by the Tubasa Shinkansen (bullet train) service, airplane, and highway bus. For more information about each mode of transportation please click the relevant link. We start new service , please call to Scole when you arrived at the Zao-onsen bus terminal. we carry your heavy luggage between Bus terminal and Lodge Scole. ＊＊We have limited car only ,so please be aware that you will have to wait a moment. ＊＊charge 1 luggage 500 yen. Due to soaring price ,we have changed accommodation fees.Please understand and thank you for your corporate. 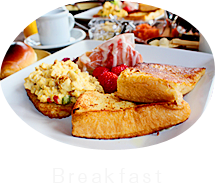 “Bed Only” (BO) and “Bed & Breakfast” (B&B) plans are only available on weekdays (B&B plan is possible on Fridays, please inquire with staff). The BO rate for children is the same as for adults. We appreciate your understanding. 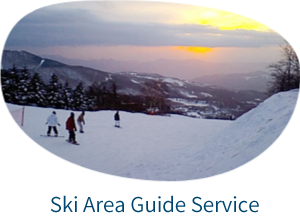 Please be aware that discounts are not available for child lift tickets because Zao Onsen Ski Area already sells them at a discounted rate. Please be aware that our room and package rates change throughout the season due to fluctuations in the lift ticket prices, demand and national taxes. A complementary half bottle of white wine is offered to guests staying during the Christmas period. Senior packages are for guests over 60 years of age. Please bring your photo ID. Children 0-3 years old stay free! Children 4-6 years old stay at half the regular rate. Children 7-12 years old stay at 80% of the regular rate. 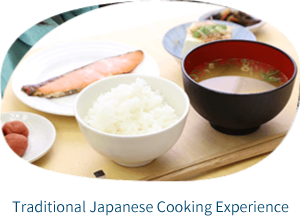 Learn how to make miso soup, wash and cook rice, make traditional soup stock and more! 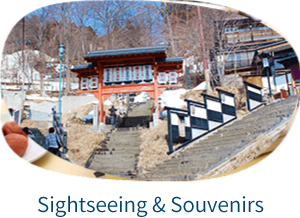 Explore Zao and Yamagata at your own pace on a custom tour with our partners at the Kanko Taxi Company! Inquire with our staff for details. Please make reservation within 3:00 PM Due to becoming dark during winter season. 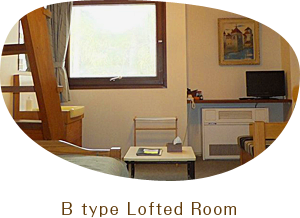 ¥1,000 surcharge per night for a single person staying in a B or C room. Parking: 1 car per room free. ¥1,000 for each additional car. 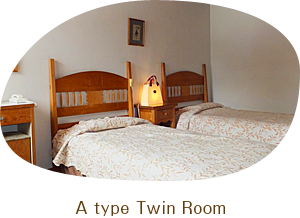 A 50% deposit of the total room cost, including taxes, is required to secure your reservation.  Once the booking has been processed you will receive a booking confirmation and deposit invoice, by email or through the PayPal system, that provides a summary of your booking. Please review the information carefully and contact us immediately if you have any questions or require any changes. 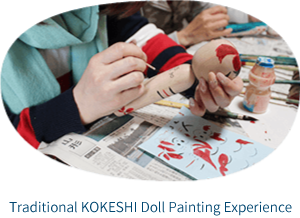 **Deposits and advanced booking for residents of Japan: ¥5,000 × number of guests = Total Deposits are not refundable. We appreciate your understanding. Overseas guests : 50％ deposit of total payment is required within 10 days of receipt of the invoice. Unpaid reservations will be released after 10 days unless other arrangements are made. The remaining balance of your total room cost, including taxes and any other charges, will be assessed at check out. Lodge Scole accepts Visa, Master Card and American Express.  Securing your reservation via credit card or PayPal means that you accept the terms of our cancellation policy. Thank you for your understanding and cooperation. For cancellations made 15 or more days before arrival the deposit is refundable. For cancellations made from 15 days before arrival up to the day of arrival a cancellation charge of 100% of the booking deposit will be assessed. We encourage all of our guests to purchase Travel Insurance. It is generally inexpensive and can save a lot of emotional distress if an unforeseen event occurs. Travel Insurance may pay for unforeseen events that might happen during your stay, it may cover medical expenses, evacuation expenses, trip cancellation costs and so on. Ask your travel agent or credit card company. You may also purchase travel insurance through your preferred travel insurance provider. Any additional food, drink, or souvenir items, etc… that you purchase during your stay will be added to your bill and must be paid for prior to your departure either by cash or credit card. For groups of 15 people or more. A 50% deposit of the total room cost, including taxes, is required to secure your reservation. Once the booking has been processed you will receive a booking confirmation and deposit invoice, by email or through the PayPal system, that provides a summary of your booking. 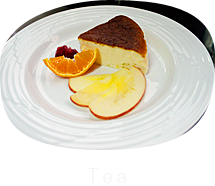 Copyright © Zao-spa ski resort Lodge Scole All Rights Reserved.